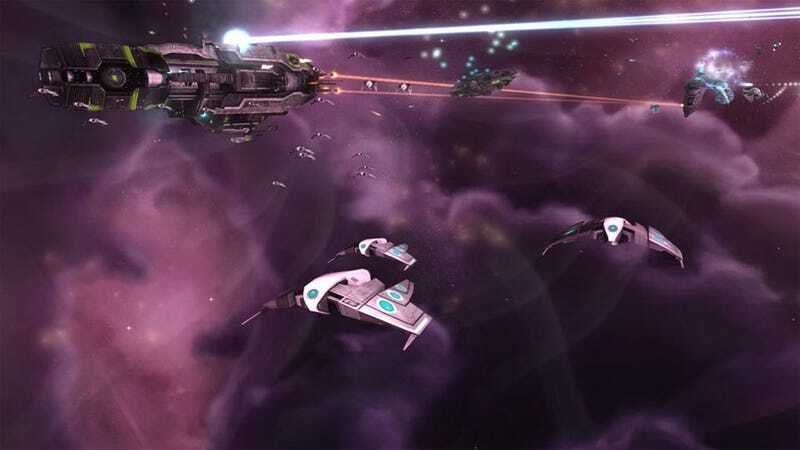 Now that they've offloaded that pesky digital distribution platform, Stardock is free to spread its catalog to greener pastures, starting with today's release of Sins of a Solar Empire: Trinity on Steam. Stardock's Impulse service became GameStop property earlier this year, and while the video game retail giant attempts to morph it into something rivaling Steam, Stardock is ready to make nice, beginning with Ironclad Games' award-winning sci-fi strategy title Sins of a Solar Empire: Trinity. "With the sale of our former PC digital download technology to GameStop earlier this year, we no longer have any conflicts of interest in offering our titles to other digital distribution channels," said Brad Wardell, CEO of Stardock. "We are starting with Sins of a Solar Empire: Trinity with other titles being made available over the coming weeks."